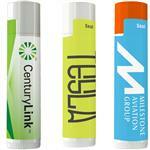 Custom mini lip balms - pocket side and great for trade show giveaways! 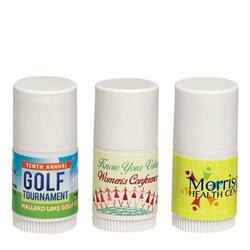 About half the size of regular lip balm, this item is not short on cuteness and is great for making a lasting impression. It's formulated with beeswax, organic sunflower oil, organic extra virgin olive oil, vitamin E, and aloe vera to offer a smooth and soft feel for every wearer. 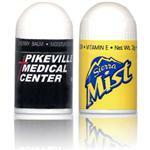 Though small in size, it can have a big impact for your name Custom full color label. Production Times Available: 5 to 10 Day Production with Paper Proof. Dimensions: Product Size: 0.05 oz. Mini Lip Balm. Made in USA. Full Color Logo. Natural Base.